The PM10 Systems provide an ideal solution for CW optical power measurements of up to 10W using a Digital Volt Meter as the display console. 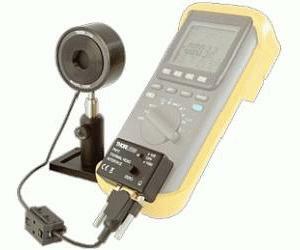 The systems include our Thermopile sensors and data converter for use together with any multimeter. The data converter includes a switch to choose between two measurement ranges allowing the user to improve the resolution for measurements of lower powers. These power meters are designed for general purpose CW high-power optical measurements in free space applications.